When working in a team environment, project organization is not only a good practice, it's essential to making things function not only in Blender, but between peers on the team. Having a well-managed project reduces errors in the production process, it allows the team to make Blender more intelligent, which then allows for the team to focus on the more important aspects of quality production and spending less time in more mundane details that could be automated. A well-managed project can also reduce unnecessary artifacts in the file, keeping the file sizes reduced and requiring fewer digital resources to produce and store Blender projects. 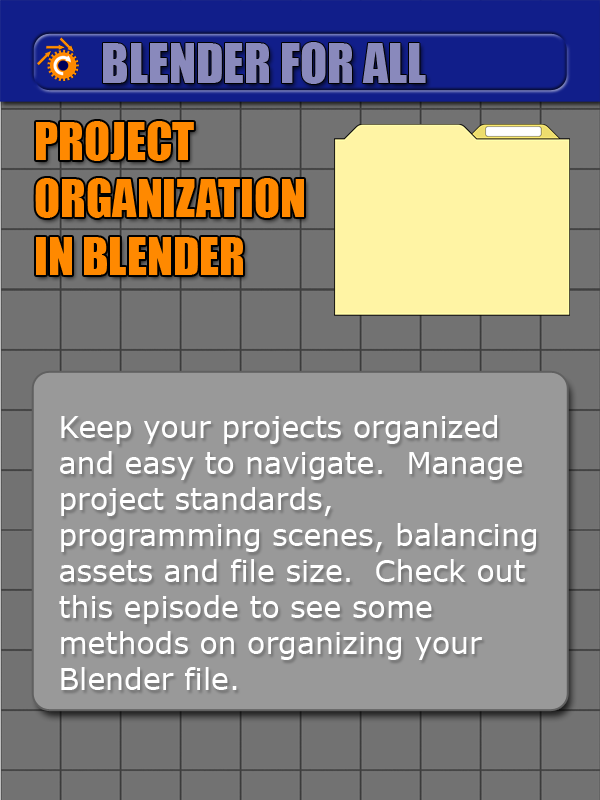 So now that you've read through my long, wordy intro, let's see some ways that we can organize a Blender project in this episode of 'Blender for All'!